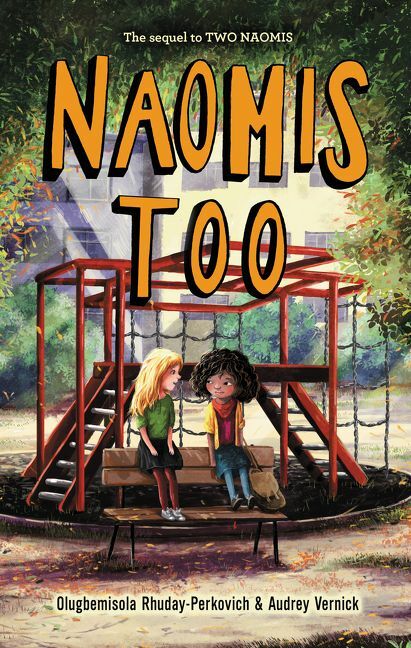 In this sequel to Two Naomis, Naomi Marie and Naomi Edith discover new challenges in their lives, and in being sisters, while attending a new magnet school in New York City. A heartfelt, sweet, social justice-themed ode to blended and unconventional families—perfect for fans of Rita Williams-Garcia, Lisa Graff, and Sara Pennypacker. In this sequel to Two Naomis, now that Naomi Marie’s mom and Naomi E.’s dad are married, the girls have learned to do a lot of things together, like All-Family Sunday dinners, sixth-grade homework, navigating the subway system by themselves, and visiting their favorite bakeries. Until sixth grade in a new school presents a whole new set of surprises and challenges.